TOKYO - Tokyo Otaku Mode Inc. (incorporated in Delaware, U.S. by President and CEO Tomo Kamei), the managing body of Tokyo Otaku Mode™ (TOM), a worldwide distributor of otaku content including anime, manga, and cosplay, proudly announces its collaboration with anime news monthly magazine Newtype (issuer: Naohisa Yamashita), published by KADOKAWA corporation, on serializing the English version of the full-length sci-fi novel “Beatless” on its website, Tokyo Otaku Mode β (http://otakumode.com/sp/beatless). 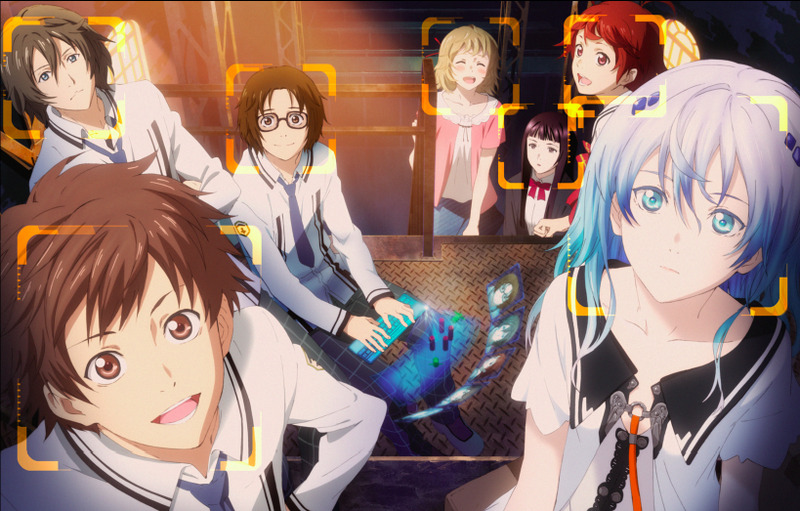 “Beatless” is a collaborative sci-fi fantasy work between sci-fi novelist Satoshi Hase and illustrator redjuice, who was also the original character planner on the TV anime “Guilty Crown.” “Beatless” has been serialized in 14 issues of Newtype beginning in the July 2011 issue and has gone on to gather acclaim. Through its collaboration with Newtype, a special page has been created on TOM’s website, Tokyo Otaku Mode β (http://otakumode.com/sp/beatless), on which the English version of “Beatless” will begin serializing. Translating this English version is Edwin Hawkes, a highly reputed translator of sci-fi novels whose translations include “Genocidal Organ” (Project Itoh) and the Nihon SF Taishō Award-winning work “Mardock Scramble” (Tow Ubukata). The serialization on Tokyo Otaku Mode β will continue until May 2014. In addition to the serialization, the special page will include character introductions and other information on “Beatless.” Four anime illustrations specially drawn for this collaboration by anime production company Wit Studio will also be consecutively released. These will be offered as free wallpaper downloads for PC and mobile devices. Illustrator redjuice is also active as a Special Creator who uploads work to TOM’s user-generated content (UGC) Gallery service and has garnered high support from fans overseas. His work is also offered on TOM’s overseas-oriented EC site, Tokyo Otaku Mode Premium Shop (http://otakumode.com/shop), on which new “Beatless” products will be sold in conjunction with this collaboration. Along with bringing more enjoyment to overseas fans of redjuice and illustrations in general, this collaboration to distribute “Beatless” in English to fans overseas is a way for TOM to explore new avenues of providing overseas fans a way to enjoy sci-fi novels and other Japanese content. TOM will continue seeking out such collaborations with companies, organizations, and creators both within Japan and abroad in order to broaden otaku culture throughout the world and contribute value to the worldwide entertainment market. One-hundred years into the future. A world in which society is almost exclusively operated by humanoid robots called hIE. With the introduction of an ultra-advanced AI that surpasses human intelligence, beings that mankind is yet to fully comprehend made from materials far too advanced for human technology begin coming into being. Seventeen-year-old Arato Endo has a fateful encounter with the artificial Lacia. So begins a boy-meets-girl sci-fi fantasy. 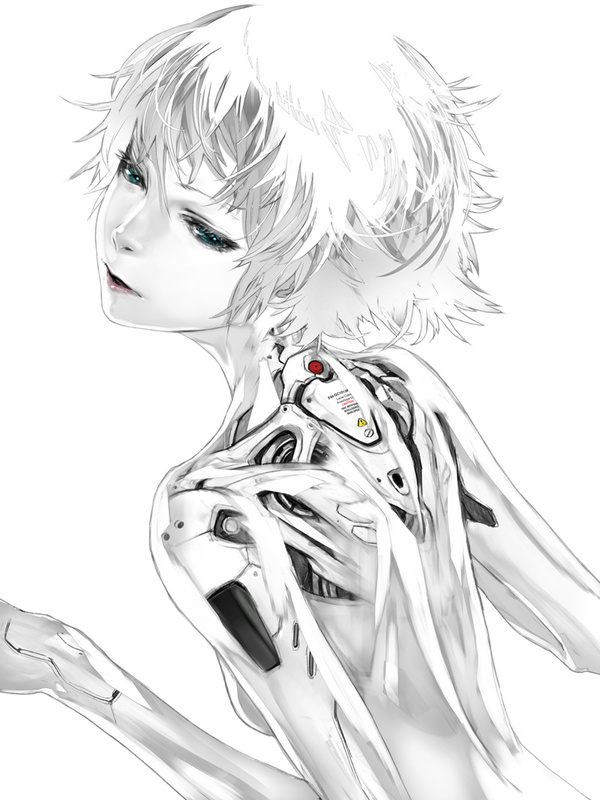 In 2011, redjuice rose to fame as the original character designer of the TV anime “Guilty Crown.” Currently, he creates illustrations and character designs for TV anime and games. As a member of the creative group supercell, he is an up-and-coming creator who has also worked on illustrations for various CD jackets. In addition, he is active on TOM as a Special Creator (http://otakumode.com/redjuicegraphics). Edwin Hawkes is a British translator born in Kyoto, he attended Kyoto International School before reading Modern History and Politics at the University of Oxford, followed by an MA in Japanese Cultural Studies from Birkbeck College, University of London. As a literary translator he specializes in science fiction, fantasy and horror. Translated novels include “MARDOCK SCRAMBLE” by Tow Ubukata “GENOCIDAL ORGAN” by Project Itoh, and “DENDERA” by Yuya Sato. Tokyo Otaku Mode™ (TOM) is a worldwide distributor of otaku content; including, anime, manga, cosplay, and otaku entertainment news. TOM is owned and managed by Tokyo Otaku Mode Inc., which was incorporated in Delaware, U.S. in April 2012 by President and CEO Tomo Kamei. TOM began on Facebook on March 24, 2011 as a page for introducing to the world Japan’s otaku content, including anime, manga, games, and goods as well as the latest news and event reports ( http://www.facebook.com/tokyootakumode ). A mere 22 months after the Facebook page was established, TOM surpassed 10 million likes to become the first Facebook page managed by a Japanese company to clear this milestone**. In the fall of 2012, TOM launched its web service Tokyo Otaku Mode β ( http://otakumode.com ), which includes a user-generated content (UGC) platform on which users can upload their own otaku creations––such as cosplay, illustrations, figure photos, and latte art––as well as a news page for delivering to the world the latest news on otaku culture straight from Japan. * Retrieved on Dec. 5, 2013. ** According to research conducted by Tokyo Otaku Mode Inc.
Any company names or product names mentioned herein are registered trademarks of their respective organizations.